“I never wear a bra again after wearing it once. I wonder how women wash and re-wear one bra. That’s cheap and gross! Brassieres were meant to be worn once and then discarded. 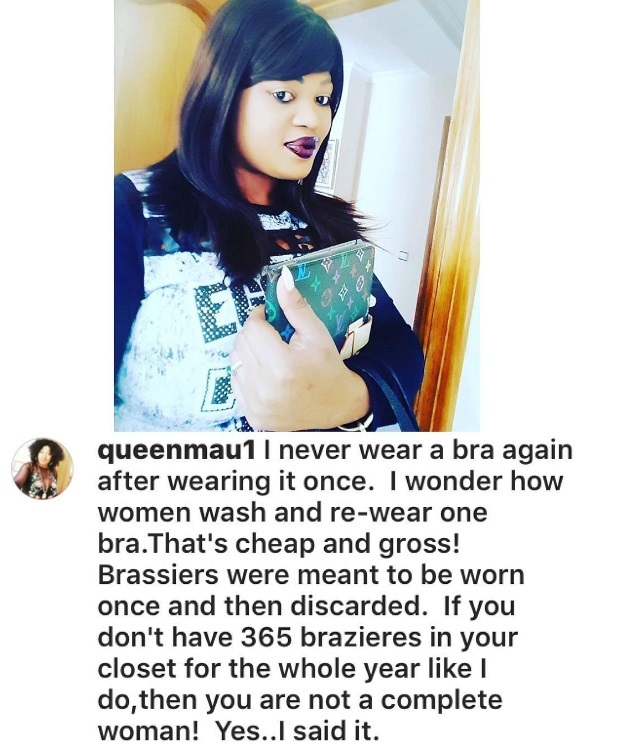 If you don’t have 365 brassieres in your closet for the whole year like I do, then you are not a complete woman!